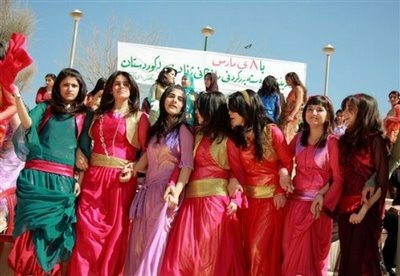 ‘Newroz’, the Kurdish New Year will be celebrated in Portobello High Street this Sunday, on the 24th March. Earlier in the week Recep Tayyip Erdoğan, the Turkish President, in response to the Christchurch Mosque attacks, created controversy by warning anyone planning to carry out such an action would be sent back in coffins, “like their grandfathers”. He was addressing a rally to commemorate the 1915 Gallipoli campaign, when the Ottomans repelled Allied forces, including both Australian and New Zealand troops known as the Anzacs. Oddly, these two apparently unrelated events help illustrate some of the underlying political contradictions which now arise for modern Scotland. On the one hand, Scotland strives to be a welcoming place for a range of cultural identities, as it continues to become more ethnically and culturally diverse. On the other hand, under the auspices of counter terrorism and anti-immigration rhetoric, Police Scotland continue to enforce the authoritarian objectives of a British State, whose current ideological position contradicts the civic nationalism that often sets Scottish public attitudes at odds with those in England. Ongoing investigations into political policing in Scotland has uncovered some concerning facts regarding the on-going treatment of Edinburgh’s Kurdish community over the last three years. The principle issue here is that immigration and counter terrorism laws are ‘reserved’ to Westminster. This raises an important question for those advocating a progressive Scotland, especially those with aspirations for independence. That question is: what is to be done to extricate the Scottish Police from the deep-seated ties, generated over centuries, which bind it to the imperial and corporate interests and ambitions of the British State. 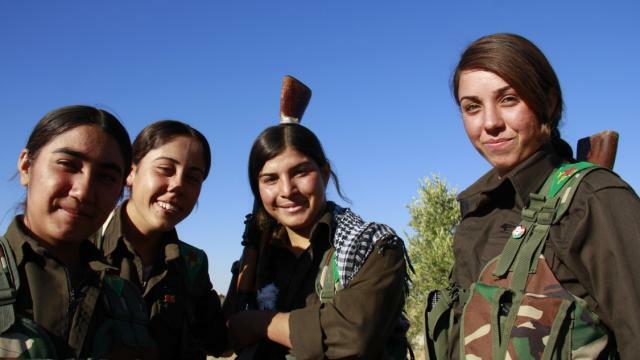 Why are the Kurds being targeted by Police Scotland? In our investigation into what appears to be ‘political policing’, under the guise of ‘counter terrorism’, we have heard from members of the Kurdish community in Edinburgh who are concerned that the UK’s deepening relationship with Turkey has contributed to Police Scotland interventions. The fact that the Glasgow Kurdish community, which is mostly from Iraq, as well as the Kurdish community from Syria escape Police Scotland’s attention, would appear to add substance to this view. Turkey has a much closer relationship to the UK than many people might think. When Theresa May became Prime Minister the first visit on her itinerary was to the US to meet Donald Trump. Her next stop over was Turkey to meet her second closest ally Recep Tayyip Erdoğan. The targeting of the Kurdish community in Edinburgh has coincided with the recent? opening of the Turkish Consulate in the Capital, before which, not one single Police intervention had affected the Kurdish community. Lastly, it should also be noted that Erdoğan’s most recent visit to the UK. to discuss trade deals and the purchase of fighter jets, was followed by a series of dawn raids of the homes of Turkish Kurds living in both London and Edinburgh. Clearly these very lucrative arms and trade deals come with additional expectations and political costs to the UK. There are clear political and economic imperatives for the UK to want to be seen to appease the Turkish government in order to bolster trade relations and secure arms deals. It has to be remembered that the Police in any State, are always the State Police, and like all other State institutions are put to use in furthering the State’s interests. The issue for the contemporary State is that it has to work hard to obfuscate the fact that its institutions having been appropriated by vested interests, and thus no longer act exclusively in the interests of its citizens. Having restructured Britain as an off-shore haven for large scale tax avoidance and having handed a disproportionate level of power to a small group of economic elites, the British State, is in something of a crisis. Ceding power to those at the top of the socio-economic structure, these crises cause the State to compensate by expanding its law and order function at the bottom of the socio-economic structure. The purpose of this is two-fold. Firstly, it must prevent the real threat of public disorder through the expansion of the process of criminalisation and the powers of the police to deal with political dissent and social unrest. Secondly, faced with having to regain some of its lost legitimacy, the State and its key institutions collaborate in the manufacture of a ‘threat’ that only the State can offer protection from. The ‘hostile environment for immigrants’ and the ever present ‘terror threat’ can best be understood within this paradigm. By re-drawing the boundaries of its own authority, the State creates a distraction from the fact that the harm caused through ‘criminality’ is insignificantly small, compared to the social and economic harm inflicted by the actions of the State itself. In a nut shell, the ‘War on Terror’, in almost all countries where it exists, is a product of a State that desperately needs to re-establish some degree of legitimacy, through the manufacture of an imagined ‘danger’, that only it can protect us from. Being an integral part of the British State’s expanding law and order function, Police Scotland is inextricably entangled in these political and ideological machinations. And this, in turn, has had a significantly detrimental impact on some of Scotland’s minority communities. Since 2016, members of the Kurdish community in Edinburgh have been subjected to regular dawn raids at their homes when, on average, six members of Police Scotland’s Counter Terrorism Unit turn up at around 6am with search warrants. Several homes are targeted simultaneously and all households are subjected to intense searches in the hope of finding items relating to the PKK (the Kurdistan Worker’s Party). Police Scotland film each of these raids. For many in the Kurdish community the Kurdistan Worker’s Party represents their entire cultural identity. However, the left-wing political group, based on gender equality and decentralised democracy, has controversially been deemed a terrorist organisation by both the US and EU. Going by mainstream media accounts and, in particular, by Herald journalist David Leask, who interestingly has links with the Integrity Initiative, one would believe that Police Scotland are smashing PKK terrorist cells in the capital, and seizing significant sums of money destined for the funding of terror, thus preventing terrorist activities. The reality, of course, is very different. The raids, which have taken place each year in 2016, 2017 and 2018 have resulted in nothing more than the confiscation of some flags, keyrings, and a few books about Kurdish culture and history, as well as some traditional items of clothing. Although at least one person has has been charged under Section 12 and 13 of the Terrorism Act 2000, no one has yet appeared in Court, let alone been convicted. Most of the material confiscated by Police Scotland is actually related to the YPG and YPJ who, although ideologically aligned to the cause of Kurdish Independence , are not part of the PKK. Police Scotland have, therefore, been confiscating material which is certainly ‘political’, but certainly not illegal. The Kurdish Community Centre was also raided by Police Scotland in August 2017 and rather than a planned visit, they forced entry and confiscated a range of materials and symbols of Kurdish identity. None of the items taken have been returned. This has had a devastating effect on the activities of the Centre, with around half of the community no longer attending for fear that they and their families will be identified by Police Scotland as future targets. Children’s language classes have had to be scrapped as increasing numbers of the community stay away for fear of reprisals. Of most concern is the suggestion that these raids have involved collusion between the Turkish and Scottish police, although other UK forces may act as intermediaries. Selling arms to murderous regimes with appalling human rights records is bad enough, but when your country’s police force appears to have a close ‘working’ relationship with their police force, serious questions have to be asked. What do we do with Police Scotland? Police Scotland press releases and their subsequent sensationalist reporting of these recent events were clearly intended to create a PR effect in order to perpetuate the myth of an ongoing ‘terror threat’ in a country where the last terrorist attack was back in in 2007. Admittedly, in these articles, Police Scotland played down the ‘actual threat’ of terrorism, although the resulting newspaper headlines all used the words ‘terror’, ‘threat’ and/or ‘fears’. Manufacturing of the ‘terror threat’ or the ‘dangerous other’ involves the collaboration of the triadic nexus of the State, the political class who legislate, the media who sensationalise, and the criminal justice system that both polices and punishes. This process serves a number of political objectives. Firstly, it distracts from the fact that harm resulting from criminal activities is an insignificantly small proportion of the levels of social harm inflicted upon swathes of the population by the State and its activities. Secondly, it allows for the expansion of criminalisation, greatly augmenting the surveillance and punitive powers of the State. Thirdly, it allows the State to redraw the boundaries of its own responsibility, treating those at the top of the class structure with velvet gloves, while applying an iron fist to those inhabiting the margins of society. This is all based on the illusion of a constant and dangerous threat, the seriousness of which is conveyed through the process of ‘conflation’. Conflation arises from the State’s attempts to pretend that really serious matters, namely killing and maiming people in terror attacks is on a par with possessing YPG and the YPJ keyrings and flags, which are not illegal. In other words, by comparing two very different things as if they are the same, the State successfully conflates support for organisations that have not been deemed terrorist with actual terrorism itself. We could give Police Scotland the benefit of the doubt. Firstly, lets accept that despite their apparent autonomy, Police Scotland are still embedded in the British State and thus, inextricably connected to the interests of the powerful groups who have appropriated its institutions for their own ends. Let us also believe that, as a result of the State’s need to regain some of its lost legitimacy, Police Scotland, whether they like it or not, have to abide by the rules conferred on the expansion of criminalisation at the bottom. Let’s further decide to believe that Police Scotland are given no discretion in the process, they are merely told support for the PKK is a criminal offence and ordered to police that, even though they have no expertise in the geopolitics of the Levant region and thus have to muddle through, confiscating keyrings and flags that are perfectly legal to possess. Let us finally believe that the need to pretend that having key rings and flags can be conflated with blowing people up, arises from the fact that Police officers feel undervalued and that their role in society has lost the legitimacy that it once had. In short, the crisis of the State has similar repercussions on its institutions causing an existential problem, both for the police and its officers. While some of this may well be true, there must also remain hope for a progressive politics, with a justice system to meet its needs. This leads us back to the original question, one that seems to have escaped much of the debate around independence: what do we do with a British State institution like Police Scotland when we are an independent country? Do we want our police criminalising small refugee communities in order to placate tyrannical regimes, so we can trade weapons? Is this the ethical Scotland of the future most independence supporters envisage? Yet, the reality is this; we can have the Scotland we want, but in order to achieve that we need to be aware of all the hidden traps and underhand tactics that will be employed by those who have an interest in ensuring things remain very much the same as they are now. In deciding the future, if ever there is such a future, Police Scotland will represent a significant part of such a challenge. If we want a radically different country that is both representative and progressive, questions of policing are as important as questions of currency, since both are inescapably political. In this respect, perhaps there is something that can be learned from the experience of the Kurdish people, living in Edinburgh, who are celebrating ‘Newroz’. After all, they too are seeking to build an alternative, radical democracy in their case, in the Autonomous Region of Rojava. With big marches planned for tomorrow over ‘BREXSHITE’ and thinking back to the miner’s strike, G7 etc best behavior must be the order of the day, beware of ‘agents provocateur’ and to Police Scotland a polite warning, unlike previous protests this time there will be thousands of ‘citizen journalists’ filming your every moves. They might also reflect on the fact that this time they will not have tame news editors doctoring film as alleged was done during miner’s strike. What is being described hereamounts to yet another reason Scotland needs independence. Terrorism is reserved to Westminster and therefore Police Scotland MUST take its direction from there. Holyrood has no discretion (that I can see) over this. Unionists can whine “oh but policing is a devolved power so it’s all “that Essenpee’s” fault” but being within the overarching UK framework means certain things across ALL the devolved areas are still effectively under Westmnster control. This is one of them. If the UK govt and its security branches say “jump”, Police Scotland MUST say “how high sir” and there is little to nothing a Scottish Govt can do about it. With independence, every aspect of policing and security would come under the auspices of the Scottish Govt. As such, should said govt wish it, all such punitive, intimadatory and unnecessary actions could cease. Obviously, if an independent Scotland voted in Ruth Davidson’s Tories you could expect a slavish willingness to carry out whatever wish their beloved Westmister asked of them, with knobs on to show what good Brits they are. It wouldn’t just be Police Scotland saying “how high sir” but the Tory Scottish Govt as well. However, I doubt the Tories in Scotland will be in a position to form a govt in an independent Scotland for some time after independence so it is unlikely to be an issue. I’m not saying there won’t be some residual problems after the fact of independence with some individuals within Police Scotland and any new security services set up by the new Scottish Govt finding it hard to come to terms with the new reality. They may still feel some attachment and loyalty towards the old regime and act on their behalf at times in direct conflict with Scottish Govt policy. But that, over time, will be a rapidly diminishing problem, in my opinion, as some of these people are gradually replaced while others begin to see that UK govt policy, and what they are expected to secretly do in its name, are not in the best interests of either Scotland or themselves. Absolutely right. Police Scotland take their real line from the Westminster establishment and not Hollyrood. If Westminster decides to do a ” miners ” on independence marchers then senior officers in Police Scotland will be told to get the batons out and break heads and faces. Kettling has as many will be aware already been performed in marchers in Glasgow and this, or any other strongarm tactic is needed, Police Scotland, despite what the First Minister might say, will simply be told. In Northern Ireland, the example of the paras slaughtering innocent campaigners should remind us how easily the British State skips in to violent suppression of people marching to protest. The only difference between the army and the RUC was the degree of violence. Could it happen here. Well yes, but it’s something folks need to be mindful of. The Hostile Environment could quite easily be played to Indy supporters in all its indelicate ways. The sacked Catalan police chief (hero of the Ramblas terrorism attack, but that’s another story) is himself on trial elsewhere for rebellion/alleged lack of loyalty to the Crown and state, but in a witness statement to the political trial, hence in theory information sworn on oath, has revealed that acting on Spanish court orders, and in written correspondence with Spanish judges but unknown at the time to the Catalan government, he had a squad prepared to arrest the serving government had the Spanish judge required this action. Just before the referendum and unknown to voters, the Catalan government then in power were challenged by the Mossos, who expressed their discomfort at being asked to police an anti-constitutional event, the Referendum, while politicians were informing the populace that the Mossos would do their Jobs “just like in any other election”. When so challenged, the Catalan government insisted that the police duty was to the Spanish courts and that they must obey them, with no attempt at political control. Maybe you have got all this clear already, but if not, Scotland needs to find out where police loyalty lies, and in the end, whether the English Supreme court rules or if not, who does. People talking about a referendum without due agreement from Westminster may be particularly interested. As you can see, I’m no lawyer! Ok, I am not in the slightest surprised by the Behavior of Police Scotland. The appalling history of the Glasgow police, in the past, where they were essentially an appendage to the organized crime and gang warfare that was endemic in Glasgow, is remembered by many. The claims that the unified present force is somehow different, is hilarious. as we have seen with such racial crimes as beating to death non-whites, endemic violence and total contempt for human rights and civil liberties in the past, not a lot has changed. One racial murder by police is now slowly dragging through the courts, with the SNP police/justice minister sitting and doing very little, like a rabbit in the glare of oncoming headlights. In the same way that the Catalan Government were arrested and are now in jail, and on a criminal trial, I think this would be an identical situation in Scotland. In a political crisis in Scotland, involving independence issues and an attempt by the London Government to suppress and shut down the Scottish Government, (Yes, that could happen, in the next five years) I have absolutely no illusions about this. Like the old Royal Irish Constabulary, in 1918, they would obey London orders. Read the Irish history books. There are, however, a few things that need to be done, and soon. Firstly the Justice minister needs to get a grip on things. also, the police authority is riddled with unionist appointees, people that most in Scotland have never heard of, and they would need to be very rapidly dealt with in an emergency. Basically, the SNP government would have to invoke its own emergency powers act, which is already in existence, and terminate the lot of them. likewise, any senior officers whose loyalty to their country and to Scots, also need to be severely dealt with, using the same special and emergency powers legislation. Also, there is, in scotland an extensive UK intelligence network that is totally under the control of london, who also tightly control Special Branch. In these circumstances, I think that the Scottish secretary would simply order a state of emergency, get the Queen to dismiss the Parliament and its ministers, and invoke the direct rule. (Take a look at Ireland, right now). In other words, as the article says, what a mess. I do not have the slightest hope that any SNP Government would behave like anything except a bunch of frightened rabbits, in a crisis. Unless a plan, like the one outlined above, was implemented, (Zero chance) then in the next two years, as a Catalan type situation looms, the outcome would be quite obvious. As they said at the time of the Iraq war: “Its the Oil, stupid”. So nice article, but painful in reality. Unless the Scottish government of the day, in a Catalan type situation, was prepared to be ruthless, they would be utterly crushed, like the 1918 legally elected Irish Government. We all know what happened next. The fault for such events would lie clearly, at the feet of a Scottish government that did not act, and passively awaited its fate. Comments please, as Scotland may have less than two years to such a crisis.